You are browsing the archive for Stan Hunter Boat Builder. Tags: ACBS, antique wooden boats, antique wooden boats for sale, classic boats, classic boats for sale, Duke Playmate restoration, Port Carling Boats, Stan Hunter Boat Builder, woody boater, www.portcarlingboats.com Comments Off on Stan and Crossley Hunter bring back a Duke Playmate from the dead! A visit to Stan Hunter, Boat Builder. We continue our late fall tour of Muskoka boat builders/restorers with a visit to Stan Hunter’s shop in Milford Bay, Lake Muskoka. Stan has a charming Grew runabout in for some major work. Also on tap is a Century Resorter, which Stan describes as a great potential wake board boat. Finally, we sneak a peak at Stan’s Launch Livery rental boats; charming Duke Playmates available for hire in cottage country. Stan Hunter, who operates Muskoka Launch Livery, offers Duke Playmates for hire in the Muskoka area. These user friendly, well maintained boats are a simple pleasure to operate and a wonderful way to enjoy boating with family and friends. For further information, please see Stan’s side bar ad to the right of this notice, or click on the link above. The video below, also provides a glimpse of these charming water-craft. Two woodies await their turn in the varnish shop. Bring on Spring! What’s new at Stan Hunter’s boat shop? 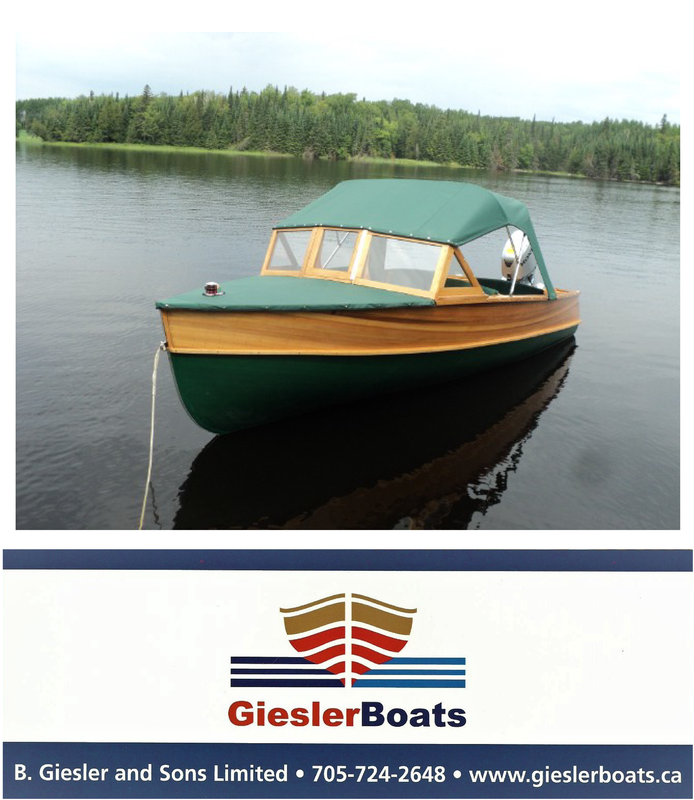 Nestled in Milford Bay, Lake Muskoka, is the boat shop of Stan (and son Crosley) Hunter, experienced and very capable professional boat builders/restorers. Stan recently completed a brand new long deck launch, which is featured in a newly released DVD, Boat Builder. Also, if you aren’t inclined to take on ownership of a woody, but would love to get behind the wheel of a classic wooden boat, Stan Hunter has the answer! Check out Stan’s Muskoka Launch Livery side bar ad to the right of this post. Enjoy time on the water with a Duke Playmate “woody” for a summer vacation – without the obligations of ownership! Below: A SeaBirD is being built up for a final coat of varnish. Below: This Duke is being fitted out with engine, floors and seats. World Speed Record for wooden rib installation? Watch Crossley Hunter, (son of Stan Hunter Boat Builder) in an amazing show of speed and dexterity, below. Crossley installs a scalding hot oak rib in a 20 ft Duke in a few seconds flat, bare handed!. Warning: Do not try this at home! PS: For anyone interested in renting a wooden launch, please see Stan and Crossley’s Muskoka Launch Livery side bar ad on the home page of the Port Carling Boats website.